The most popular thing on a millennial’s holiday wish list this year that also happens to be impossibly hard to find? 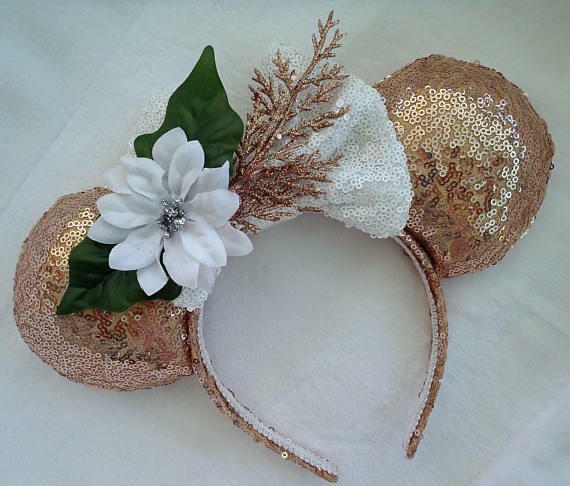 Rose gold Minnie ears. 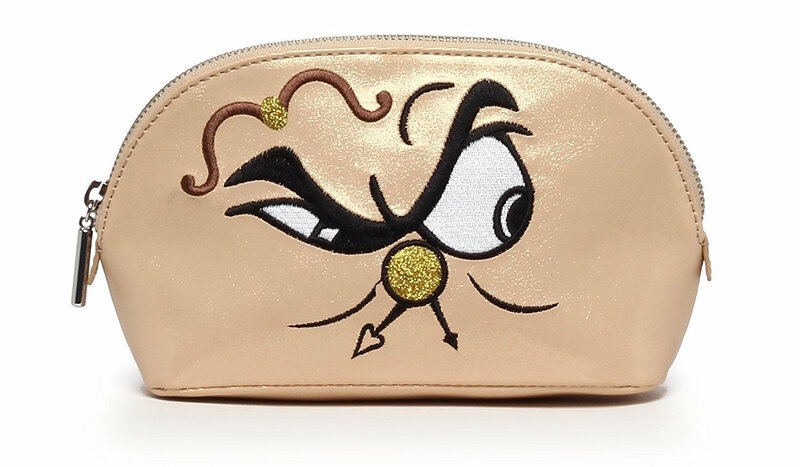 The item took Disney World — hell, the entire world — by storm earlier this fall when they made their grand debut at the park. Since then, they’ve been incredibly hard to find, and are still currently sold out (sorry to have to break this news to you). 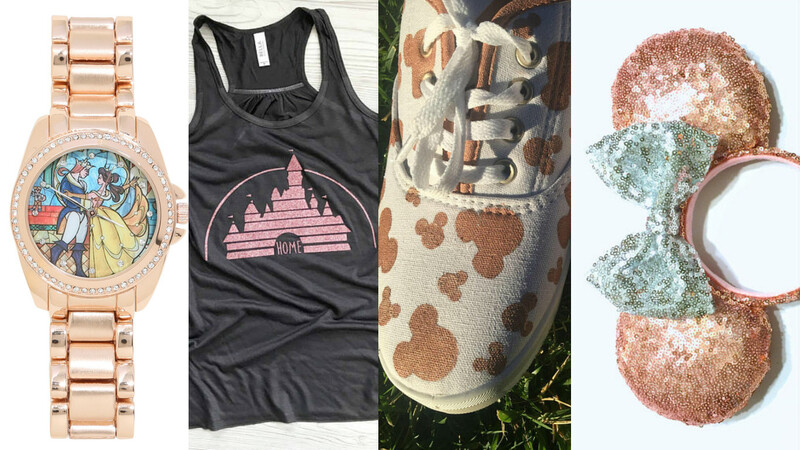 However, just because you (probably) won’t find the official Disney rose gold ears under your tree doesn’t mean you can’t buy some other rose gold Disney things — and there are a lot of them. Here are some of our favorite dusty rose colored things for you to buy for your friends, family…and maybe even yourself. 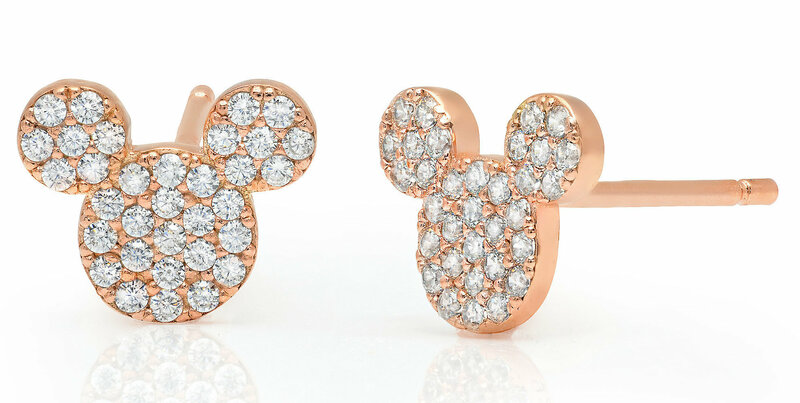 1Mickey Mouse icon stud earrings, $60.00. 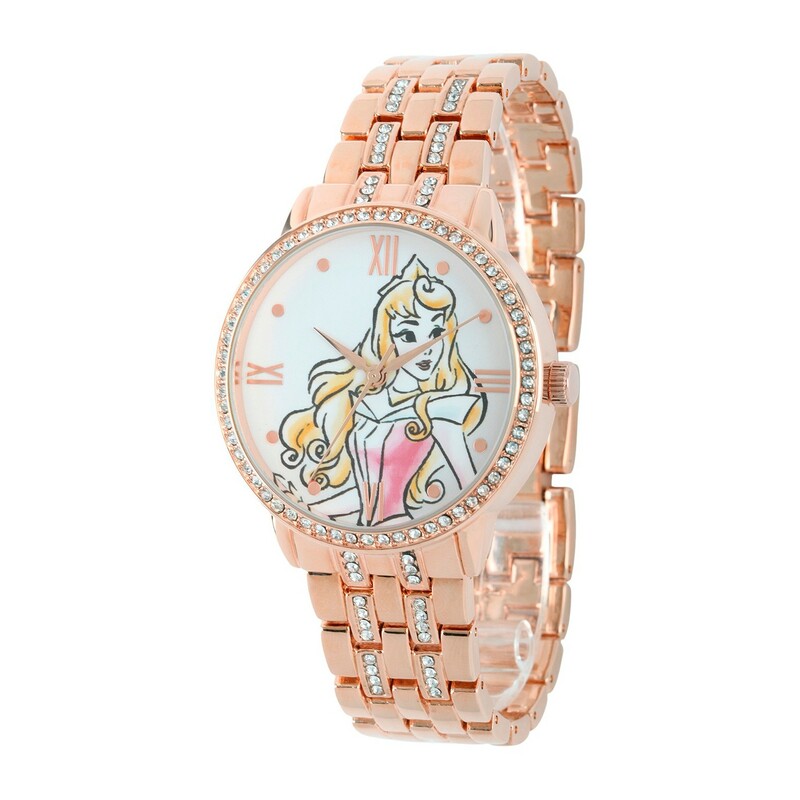 2Aurora rose gold watch, $39.99. 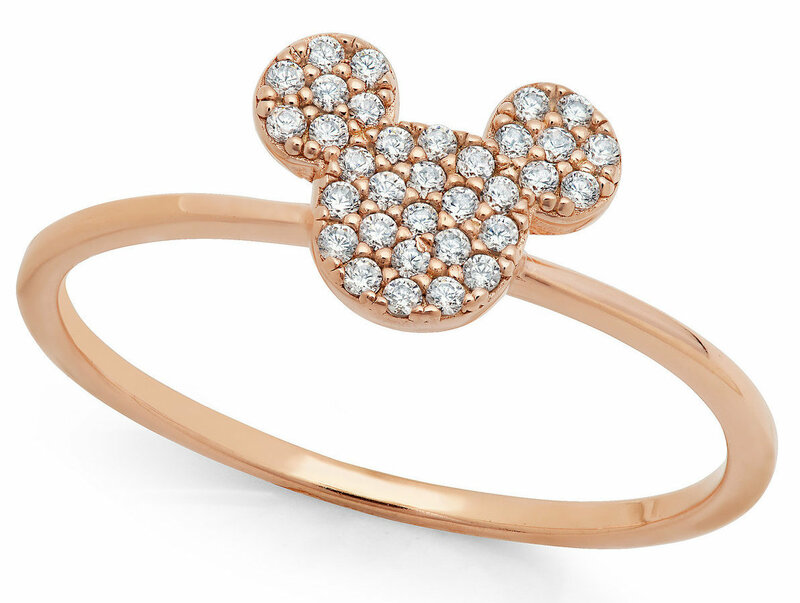 3Mickey Mouse icon ring, $75.00. 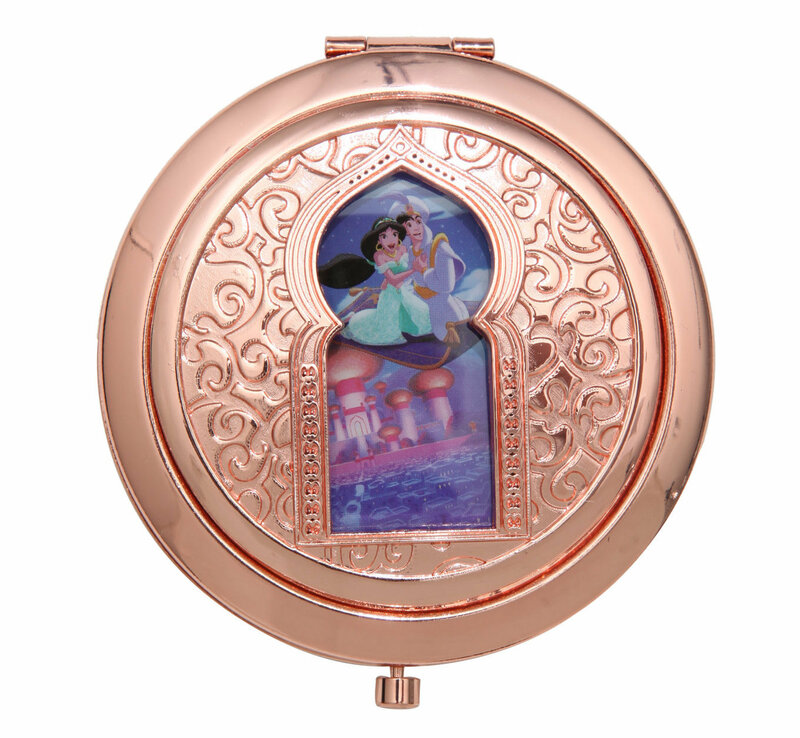 4Magic Carpet die-cut rose gold mirror compact, $9.90. 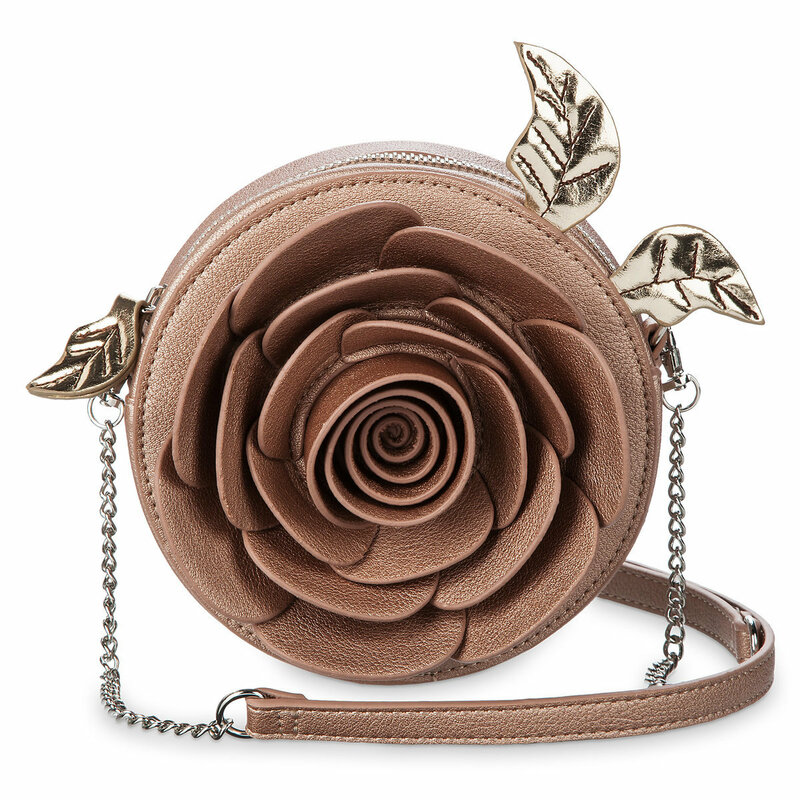 5Beauty and the Beast rose gold crossbody bag, $59.95. 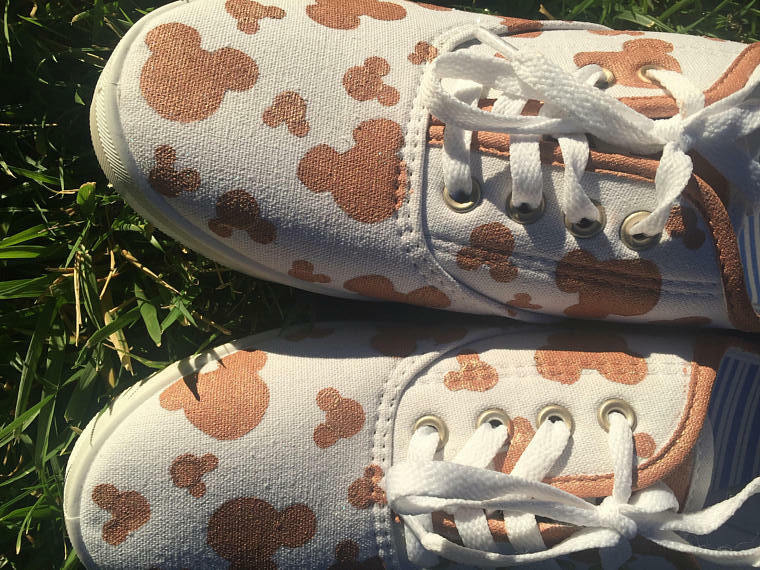 6Mickey rose gold shoes, $36.00. 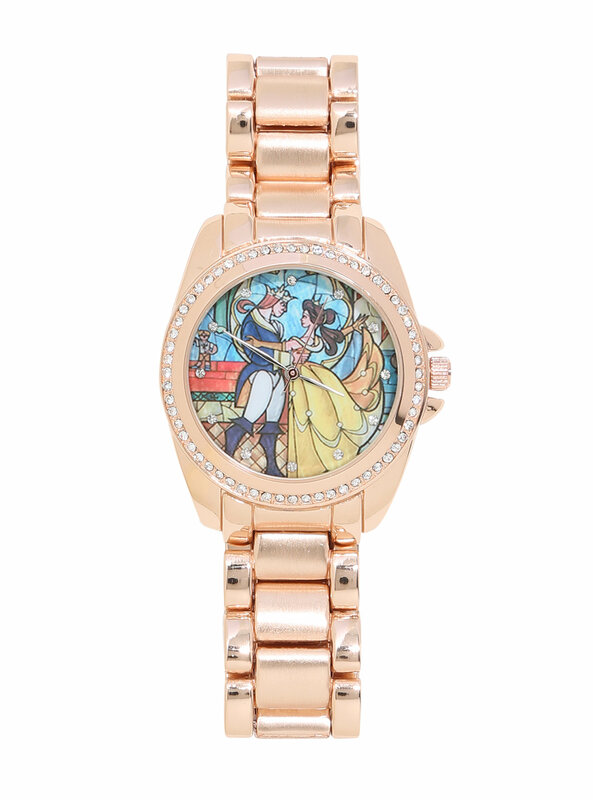 7Beauty and the Beast stained glass rose gold watch, $24.90. 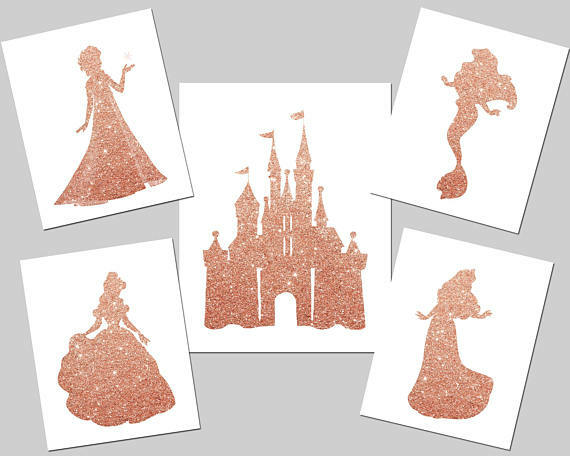 8Rose gold printable Disney art, $12.35. 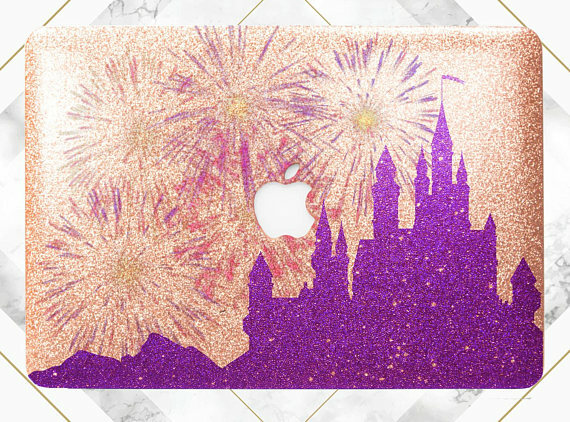 9Rose gold Disney castle MacBook cover, $53.99. 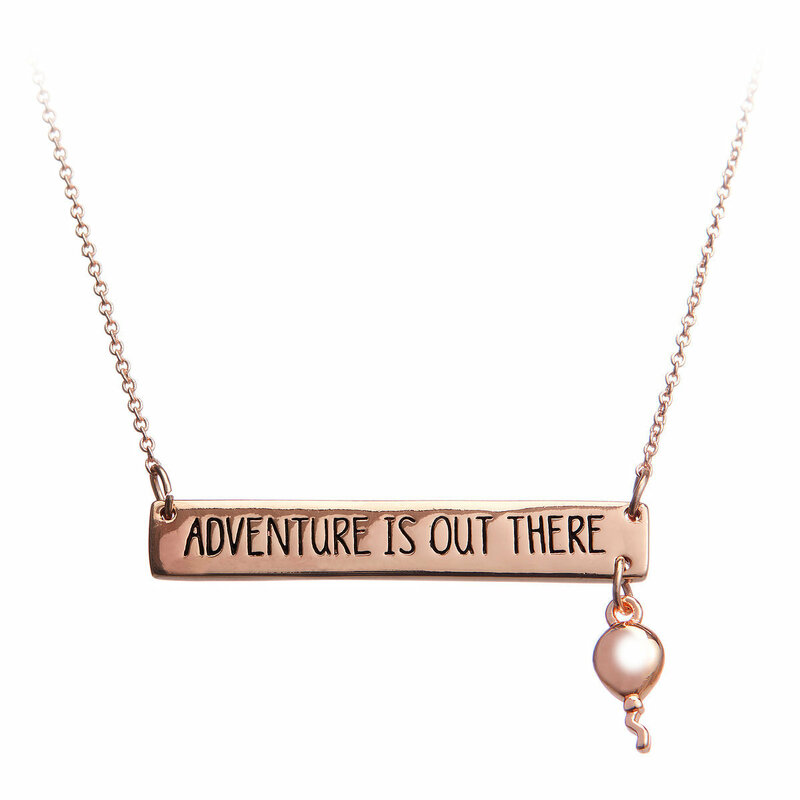 10Adventure is out there rose gold necklace, $29.95. 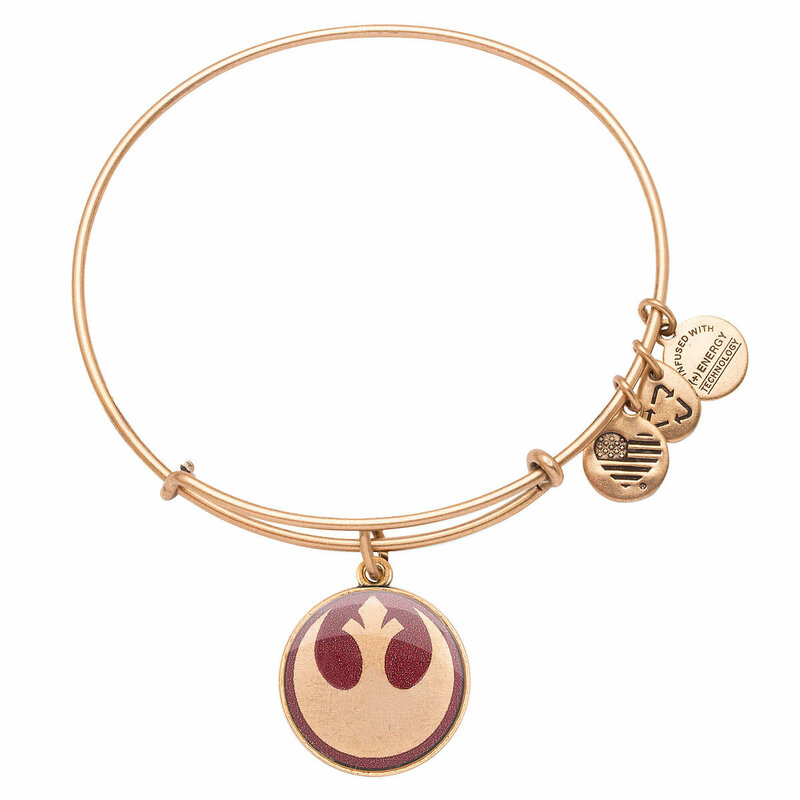 11Alex and Ani Alliance rose gold bracelet, $39.95. 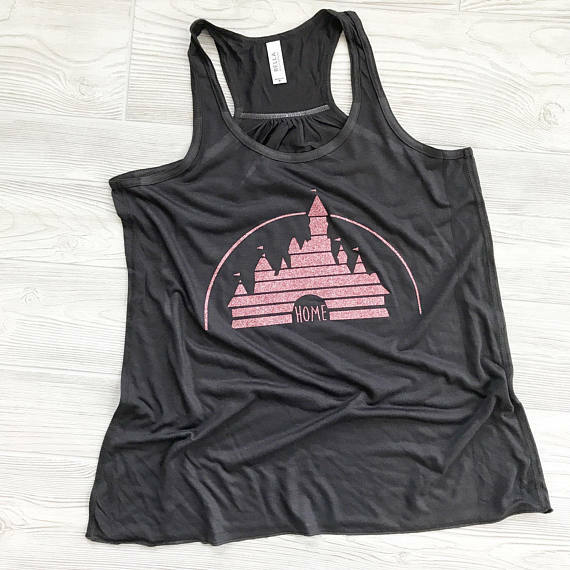 12Vintage rose gold castle tank, $23.98. 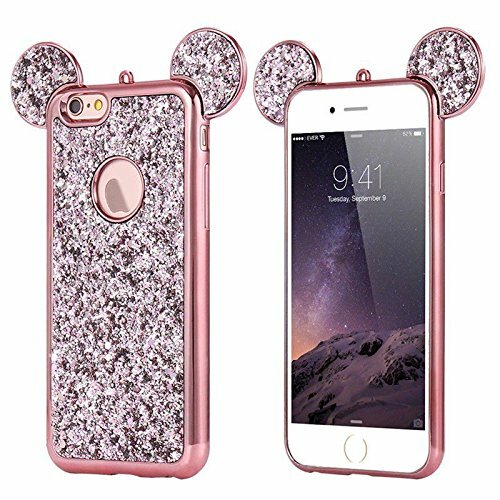 13Rose gold Mickey ears glitter phone case, $12.99. 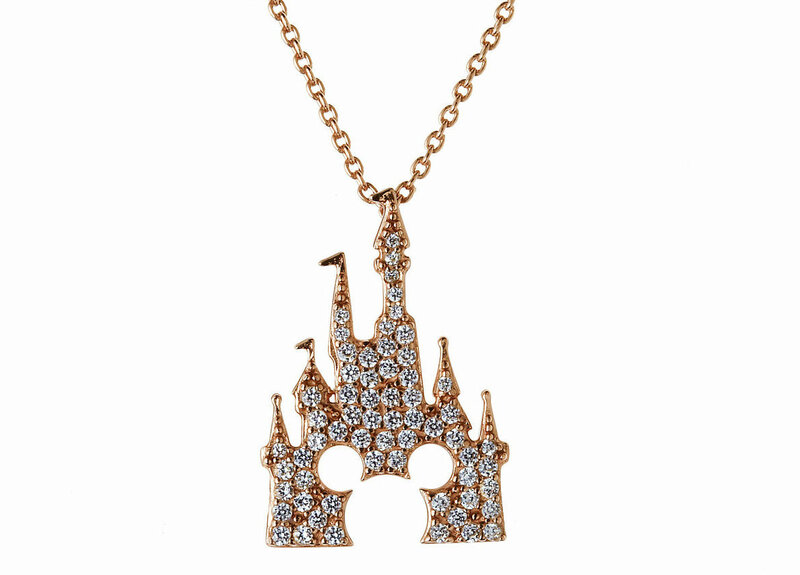 14Rose gold Mickey castle necklace, $125.00. 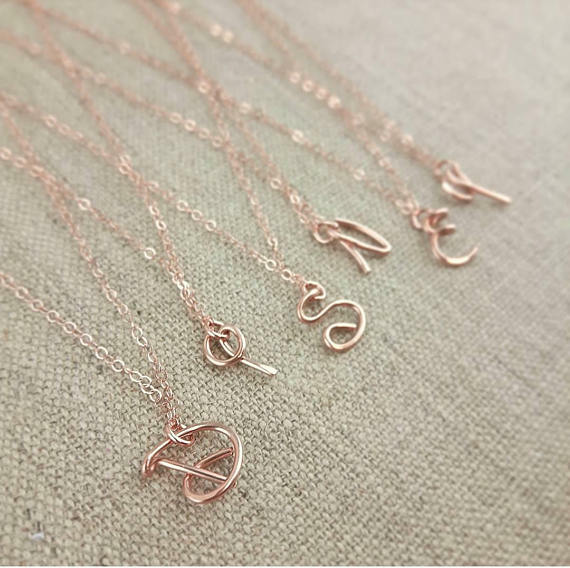 15Disney font monogram necklace, $16.95. 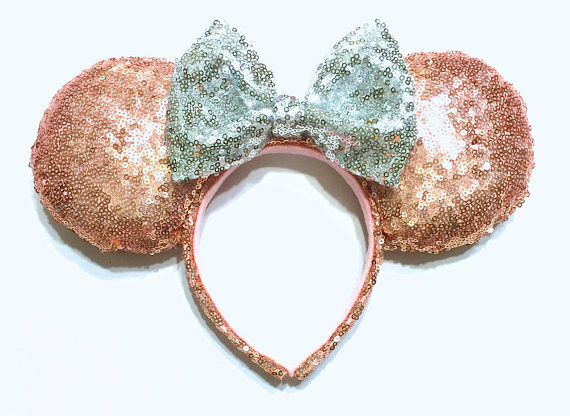 18Elegant rose gold ears, $30.00. 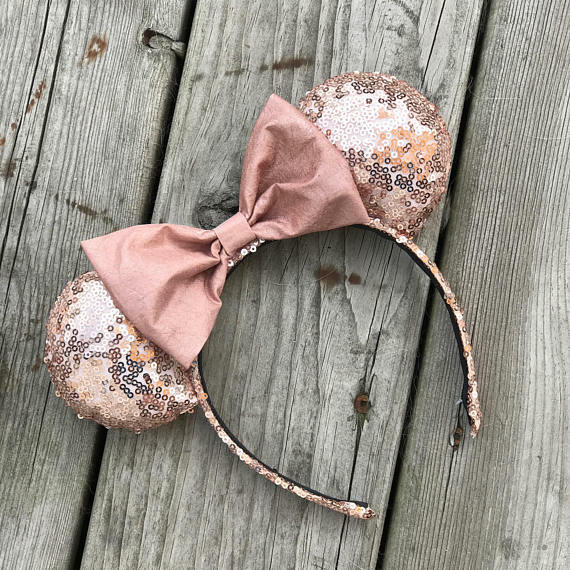 19Rose gold ears with silver bow, $24.00.